Even though this film is a remake of a South Indian film of a similar plot, this one does have an edge over it for me. This film marks the debut of Prabhu Deva as a director in BOLLYWOOD, and also Salman Khan’s return on the box office. Despite being a Classic Movie lover, I won’t shy away from being a Massala Movie lover too and Prabhu Deva had aced the Bollywood Masala Mantra in this film. It had everything right from Salman Khan’s on-screen charm, Ayesha Takiya’s cuteness, well-choreographed fight sequences, strong narrative thread, comic gags and more importantly a tight script that keeps one hooked. All thanks for Shiraz Ahmed and Poori Jagannadh for writing it. Some of you may disagree but Salman is not as bad an actor as he is being portrayed, all thanks to frivolous films like Ready and Kick that he has been doing, which also are good enough for an Indian family outing; notwithstanding the fact that these films are detrimental to the quality of upcoming films because of the formula factor. Nothing goes beyond revenues in Bollywood ecosystem. 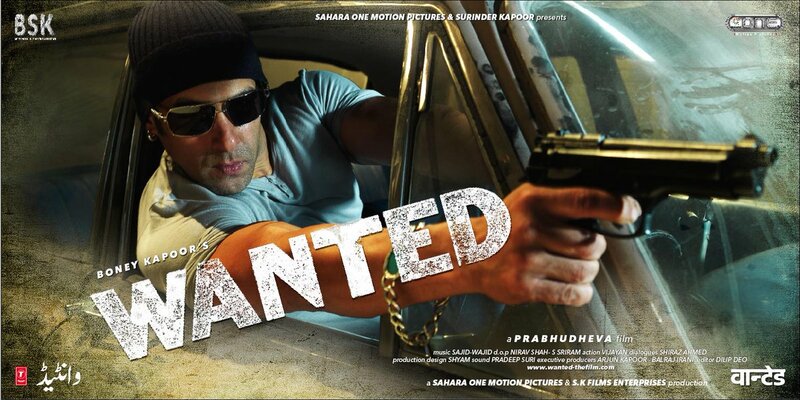 For me, Wanted was not good but an AWESOME watch and Salman had given one of the best performances of his lifetime. Even though I can’t fathom how he executes the Charas-Ganja stunt but it indeed is hilarious. To add to the awesomeness, the multi-talented Mahesh Manjerekar has done a terrific job in portraying a badass, corrupt and lecherous cop. The music by Sajid-Wajid is catchy and I love the narcissistic song ‘Mera Hi Jalwa’. All in all, it is one of those Salman films that I blatantly accept has entertained me; so much so that I had watched this thrice in the theatre with my friends. What are your memories with Wanted?